The Amtrak report from late last year that Bloomberg News obtained through the U.S. Freedom of Information Act. I won’t even get into the debate about what’s causing sea-level rise. Whether it’s man-made or natural, it is happening and we have not been planning for its inevitable effects. Sure, when the tides are high and the winds are from the east, we already see a little flooding along the Connecticut coastline. “Look Dad, the beach parking lot is under water,” children would say. But the tides and winds subsided and we’d forget about it. Aside from pretty beaches and expensive homes, what else is along Connecticut’s coast? Our railroads: Metro-North, Shore Line East and Amtrak. According to a long hidden report, those tracks, and the trains that run on them, are being threatened by sea level rise. 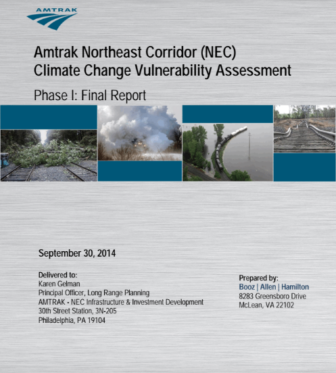 Bloomberg recently wrote about a three-year study — Amtrak NEC Climate Change Vulnerability Assessment — that was finished in 2017, but never released to the public. Bloomberg used a Freedom of Information request to obtain a redacted portion of the study, and its findings are frightening. — Web links in this article were added by Darienite.com. The Northeast Corridor of Amtrak runs 457 miles from Washington to Boston and carries 12 million passengers a year on 2,200 daily trains. Those tracks serve Amtrak’s inter-city trains and also many commuter rail lines, like Metro-North and Shore Line East. 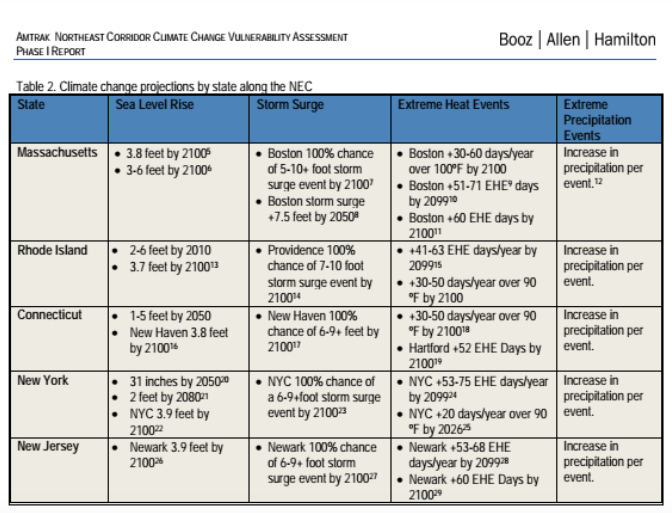 Part of a table from page 12 of the Amtrak Northeast Corridor Climate Change Vulnerability Assessment report. The rising sea level is already lapping at its edge, where in some areas those tracks are just feet from the ocean. By 2050, the water may be two feet higher. Keeping this all in perspective, Amtrak reminds us the cities they serve along the coast are also in danger of flooding, so what are a few damp railroad tracks when your city-center looks like Venice? Sorry, kids. We left you with a mess. We should have done more. 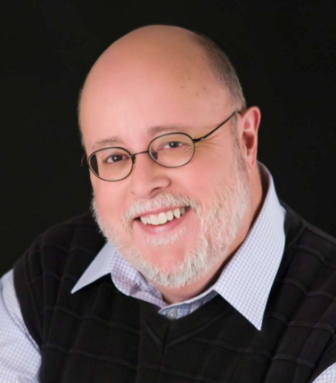 Each year, I share my predictions for the coming months — and grade myself on last year’s crystal-ball gazing. Upon reflection, I was way too pessimistic last year, predicting fare hikes, service cuts and delays in new M8 car orders for Metro-North.